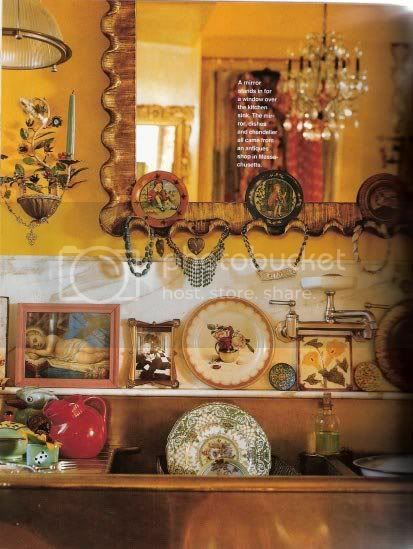 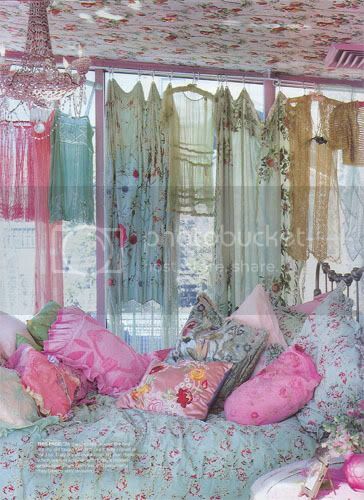 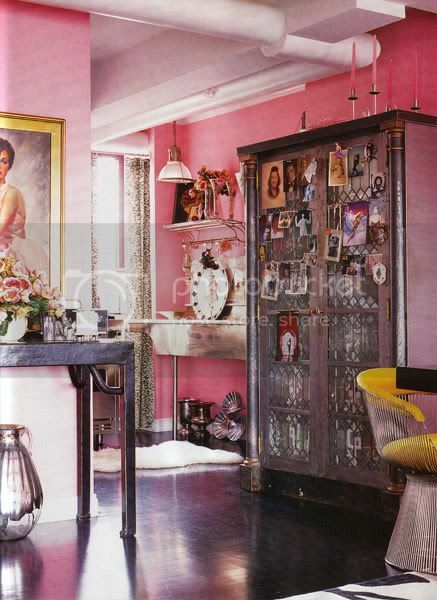 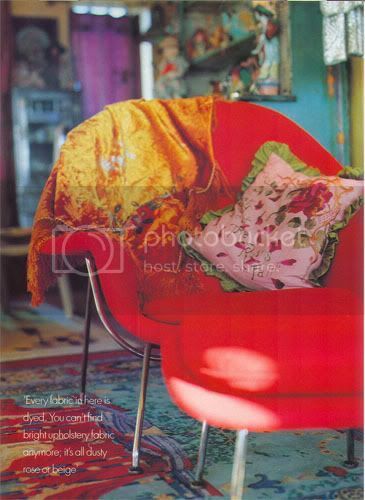 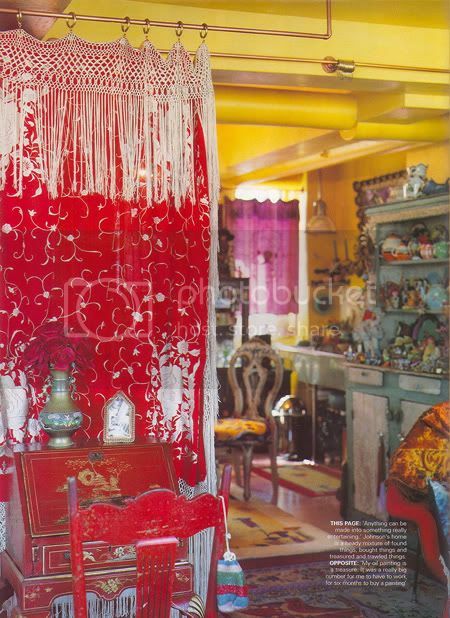 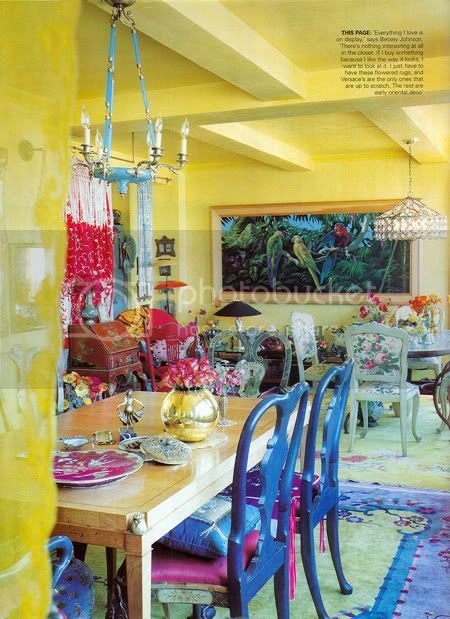 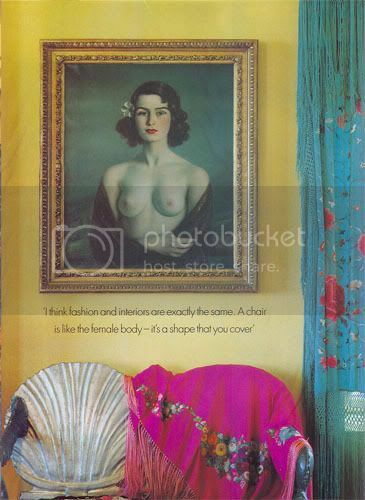 This is how fashion designer Betsey Johnson's apartment looked like in the late 90ies. 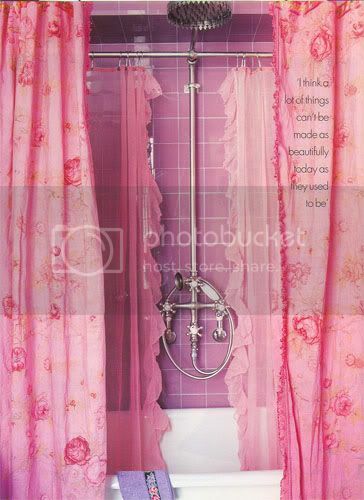 I love that! 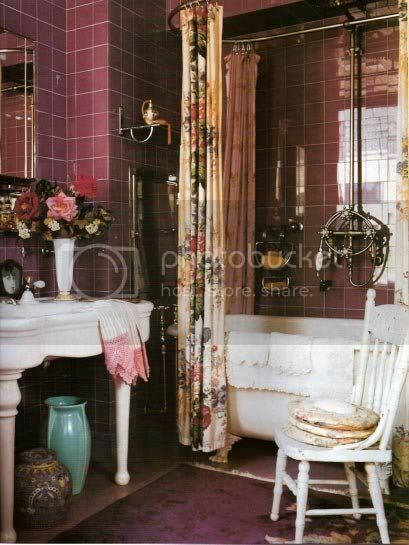 Like an over the top shabby chic, in a way. 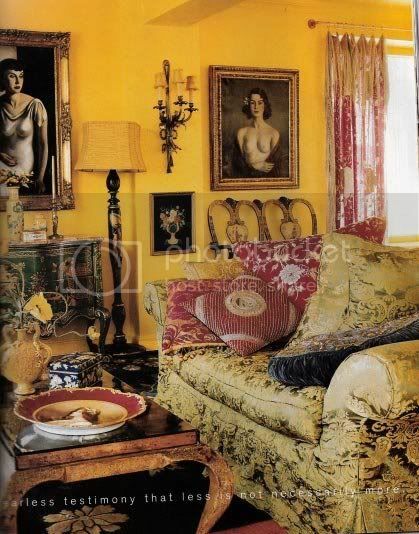 I love the layers of color and pattern.